HAPPY EASTER Offices are closed Fri 19th to Mon 22nd April. Orders will be dispatched on Tues 23rd April. The website is open 24/7. View our live metal charts and set up price alerts. Free 1oz Britannia coins for you and a friend. Deciding between bars or coins? The first consideration when buying gold should be premium. Gold investment bars attract smaller premiums than coins in most sizes due to lower manufacturing costs. If you anticipate capital gains tax (CGT) being an issue then consider British coins. Sovereign and Britannia gold bullion coins are CGT exempt due to their status as UK legal tender. Investors can buy gold online and realise net gains of £11,000 across all investments in a tax year without being liable for CGT. Although larger bars attract smaller premiums, they are not necessarily the best option for you. Smaller flexible units may prove beneficial when liquidating part of your investment in the future. 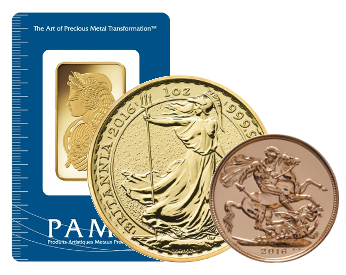 For most UK bullion investors the ideal balance between value and flexibility tends to be 100g bars and 1oz bars or coins and for larger investors, 1kg bars. We give our investors the choice of taking physical delivery of their investment or opting for high security, insured, allocated storage with our partners at Brink’s. We also offer free fully insured UK delivery. All parcels are dispatched in secure, discreet and unbranded packaging. All orders are fully insured for the value of the contents. Some individuals choose to split their bullion holdings, opting to vault part of their gold bullion, and have part delivered so it is close to hand. Call us today on 0121 369 3000 to discuss your options with one of our experienced advisors. 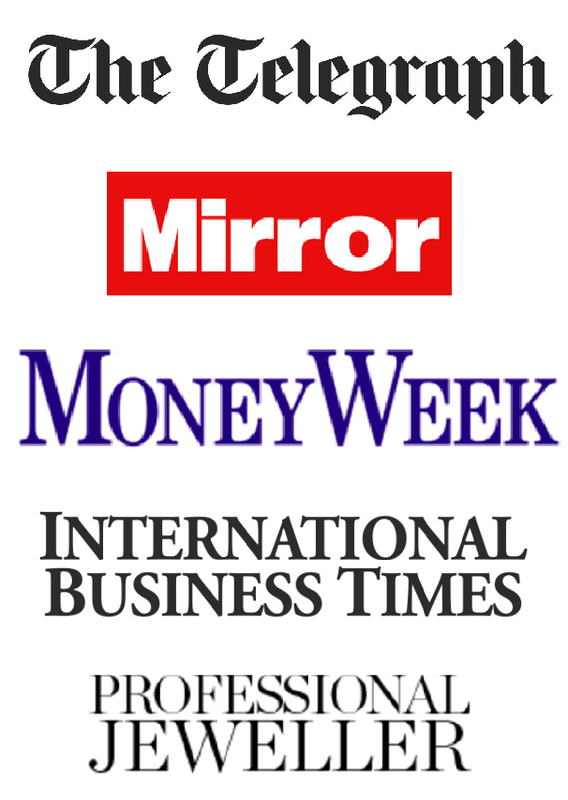 Alternatively, view our Gold Investment Guide providing essential reading for anybody considering buying gold. physical gold through their SIPP or SASS pensions. Very efficient service. Customer support was much appreciated. Would recommend to others. Create bespoke bar and coin packages based on premiums, flexibility and potential tax advantages. 1. How much are you looking to invest? 2. Which metal are you interested in?